The hype for Skyfall was off the charts. I remember hearing one critic call it "the best Bond movie in 20 years," which might actually mean something if there were any Bond movies created in the last 20 years that weren't the Pierce Brosnan ones (sorry, Pierce). And after Quantum of Solace, well... I was skeptical at best. Even tapping Adele to sing the theme song wasn't enough to convince me of its quality (and these days, pretty much anything Adele touches turns to gold). BUT, it was good. I haven't seen every single Bond movie, but this was certainly better than any Bond movie in recent memory. But again, after Quantum of Solace, pretty much anything they slapped together would seem like a masterpiece. For one thing, it was nice not to see a mopey, sappy Bond again. Although I enjoyed Casino Royale, the whole Bond-in-love angle just doesn't jibe with the typical projection of him as a smooth-talking ladies man. And then he didn't even sleep with a single woman in the entirety of Quantum of Solace? WTF? If I were Daniel Craig, I would have complained. There aren't a lot of specific plot points in Skyfall I can isolate to explain why it's a good movie - it's an action movie, after all. 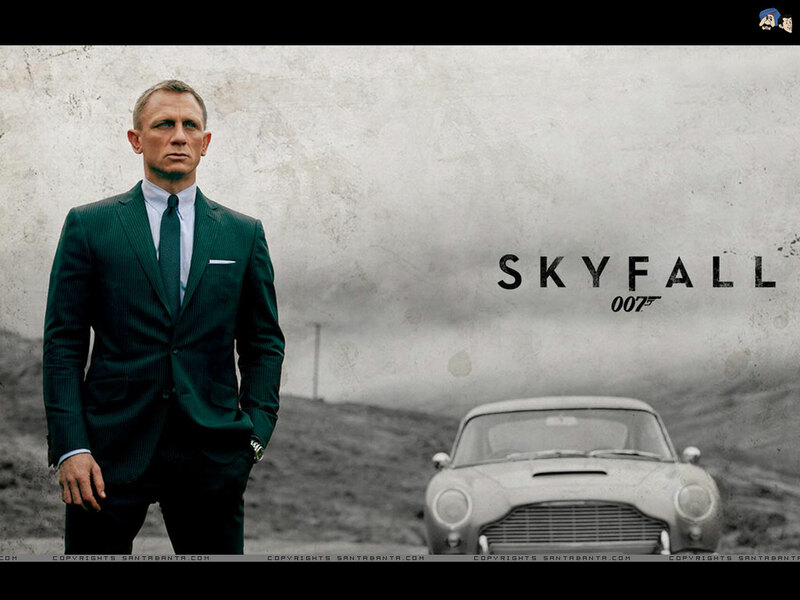 I can say that my favorite aspect of the movie is that it acknowledged the fact that Bond is old. Daniel Craig looks pretty haggard throughout the film and instead of pretending he is eternally youthful (after all, he's been killing people since 1962), I'm glad it managed to integrate his escalating age into the plot without stooping to a bunch of over-the-hill jokes. It's those kinds of subtleties that make it a higher quality movie. Well that, and people have the proper accents. Why does Judi Dench always seem to play such stern characters? Maybe it's the accent, but she always seems like such a disapproving grandmother. Was it really necessary to make Javier Bardem wear that hair? Did they think just because he got an Oscar while wearing a Dorothy Hamill haircut in No Country for Old Men that this horrible blond 'do would somehow be good luck? It looks like they took styling inspiration from the German chick in Die Hard With a Vengeance. How much was Albert Finney paid to appear for five minutes of this movie? Why was he in it at all? Couldn't they have pulled a random old man off the street for this role? I will say, the writers did an excellent job of setting the franchise up for its next phase. Sometimes movie franchises tend to drag because of the inevitability of certain plot points, knowing more movies are to come (see: Spiderman 2), but Skyfall is surprisingly innovative on this front and keeps you just uncertain enough about the ending to make it interesting. Final word: Bond is back. *note: I have been reminded by reader +JDGObviously that Bond did, in fact, sleep with Miss Strawberry Fields in the first five seconds of Quantum of Solace. My apologies for forgetting this lynchpin of the plot.